A FedEx delivery worker carries a package for a delivery in Wilmette, Illinois, Oct. 27, 2015. Before the president even signed the Republican tax plan, FedEx was already calculating its windfall. Executives at the package delivery company say the passage of the bill, which promises massive cuts to the corporate tax rate, would prompt the company to increase spending on hiring, as well as new equipment and technology. The company also it projects the changes to amount to a $1.3 billion increase in annual profits, according to calculations by Bloomberg. The plan — expected to receive final approval by the House Wednesday — would dramatically reduce the corporate tax rate, from 35 percent to 21 percent. But critics say the sweeping cuts would disproportionately favor the wealthiest American families. And even though the lowered tax rate may lead to cash-flush businesses, some economists said it wasn’t clear whether those gains would in fact lead to more investments and higher wages for workers. A ballooning deficit, they argued, could also lead to higher interest rates that would eat away at companies’ profits. 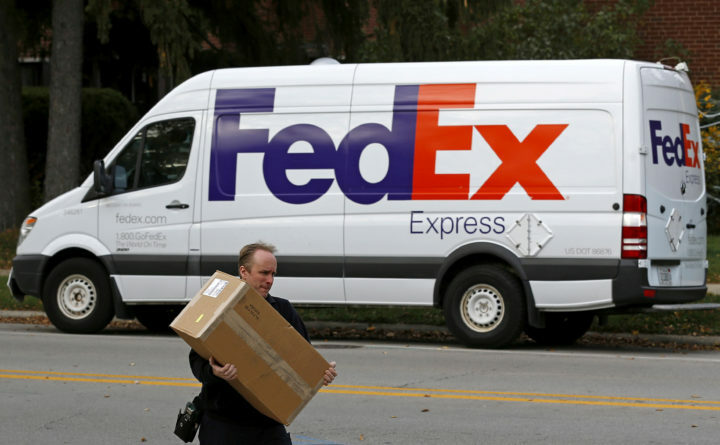 But at FedEx, executives said they were optimistic the bill would boost profits. He added that FedEx anticipates $5.9 billion in capital spending in 2018, but said that the figure may increase when the tax bill is enacted. The company had an effective tax rate of 32 percent during the most recent quarter. The company said global economic growth helped push earnings up nearly 11 percent in the most recent quarter, to $775 million, or $2.84 per share, from $700 million, or $2.59 per share, a year earlier. Executives said the company had also benefited from roughly $80 million in foreign tax credits.